Many Christians have often wondered what it would have been like to live in Jesus’ time. Their wish will be virtually fulfilled. This Christmas, a 90-minute VR movie about Jesus will be released by Enzo Sisti, the executive producer of Mel Gibson’s 2004 film The Passion of the Christ. 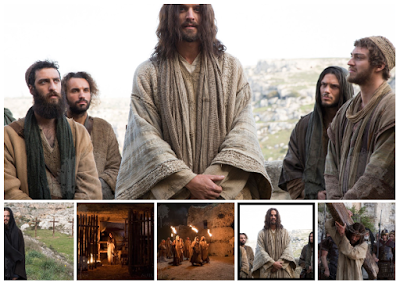 Called Jesus VR – the Story of Christ, the movie was filmed entirely in 4k 360-degrees, at the same location in Italy that was used for the filming of the Passion. The movie will tell the entire gospel story, starting from Jesus’ birth through his crucifixion and resurrection, and will include key moments such as his baptism at the Jordan river, the Wedding at Cana and the Sermon on the Mount. “The viewers truly feel they are there with Jesus and his disciples,” said director and producer David Hansen. The movie will reportedly be available in all formats – Google Cardboard, Samsung Gear VR (reviewed here), Oculus Rift (previewed here), HTC Vive, and even the upcoming Playstation VR (previewed here). One issue is the amount of space such a movie would take up (depending on the bitrate, a 4k 360 movie can take as much as 1 GB for 3 minutes). I speculate that the movie might have to be downloaded in parts. Hi, I am fmovies.in.net thank you for this informative post.Thank you so much and for you all the best. That is a great job. Wish you more success.